That was the mistake Staff Sergeant Torin Kerr made with General Morris. But as a battle-hardened professional, she took pride in doing her job and getting her troops back alive. So after she'd saved the mission to bring the Silviss into the Confederation—instead of losing them and their world to the enemy known only as the Others—she let the general know exactly how she felt. 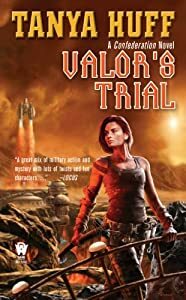 And Torin’s reward—or punishment—was to be separated from her platoon and sent off on what might well prove an even more perilous assignment. 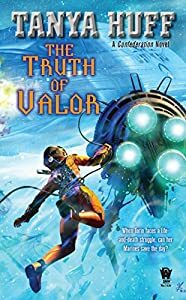 She was commandeered to protect a scientific expedition to a newly discovered and seemingly derelict spaceship of truly epic proportions. 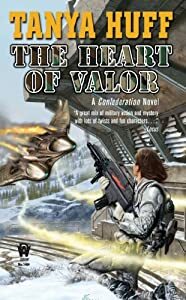 And Confederation politics had saddled her with a commanding officer who might prove more of a menace to the mission’s success than anything they encountered. 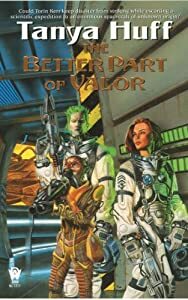 The Valor series is hands down one of my favorite and often go to series when I can’t find the book that is filling that need. Huff has a quirky humor that comes out in each of her characters in their own way. She has always been able to do this, but this series she seems to shine. Her main characters grow and you find yourself missing the side characters because of the unique traits. She’s builds a universe and a multitude of races to fill it that can — I can attest to— cause interesting, heated arguments to the state of Earths political, racial, and ethical in people. I can’t tell you how many times I’ve read the series, but I’ll read them a least a few dozen times more. 5.0 颗星，最多 5 颗星Still a good read. I first read this story from a first edition paperback soon after it was published. I really got into the actions of our good Staff Sergeant then, and again now in the Kindle edition. 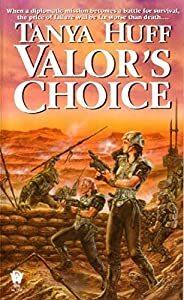 Torin Kerr is up there with some of the best female lead characters in science fiction! I am now going to read all of the rest of the series. 5.0 颗星，最多 5 颗星Love it! I absolutely love this book. I find myself drawn into the plot, and invested in the characters. The mysterious Others only add more depth to the storyline. 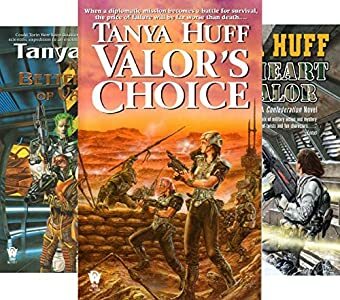 Keep writing Ms. Huff, you are greatly appreciated, and admired as a writer! 1.0 颗星，最多 5 颗星Not so good. Not so good. Last book in the series that I'll be reading.